now became a more personal investigation of identity and acceptance, and she reduced the landscape outside the studio, beyond recognition. 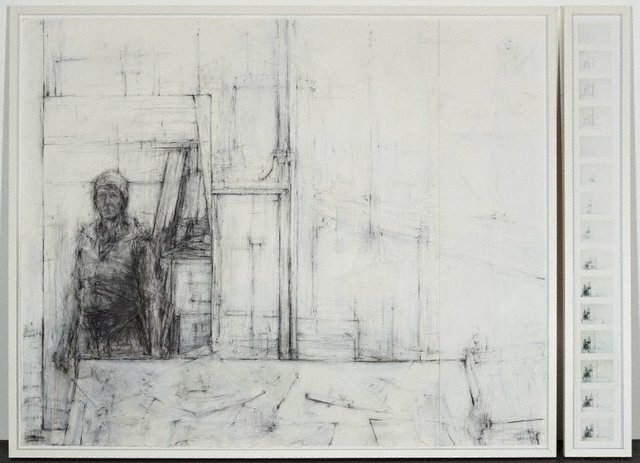 Although 'No conclusions drawn – self portrait' is ostensibly an observational drawing, it is not the subject itself that is of greatest interest to Grayson, but the complexities of structural form and the perceptual ambiguities that she experiences. Preferring to work at a very abstract level – from the inner axis outwards – the artist explains that she slowly feels her way through the forms, comparing her approach to a surgical process. She says this reflects the difficulty of pinning down reality or identity, and states that she often finds the ghostly residue or erasure preferable to the actual drawing. Grayson’s method involves numerous corrections using eraser and gesso, and by adding paper to areas worn thin by overworking. The worn and fragile surface of No conclusions drawn – self portrait attests to the difficulties generated by her investigative process. The right panel of the diptych contains photographs showing earlier stages, lost as an inevitable part of her method, while date stamps on the drawing are intended as an ironic comment on the absurdity of trying to draw what one perceives. 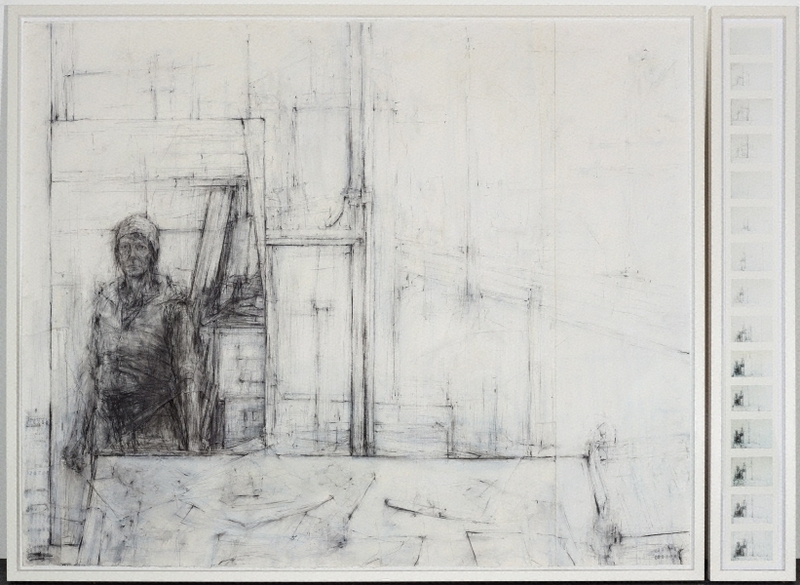 This work won the Dobell Prize for Drawing in 2008 and was acquired by the Gallery in 2008. NOTE: Artist recommends a gap of 7-8cm between Panel 1 and Panel 2. The overall dimensions have included a gap of 7.5cm. Signed l.r. corner, pencil "V.Grayson". Not dated.